A female pangolin and its young were amongst the live pangolins caught during the same roadblock on 20 February. 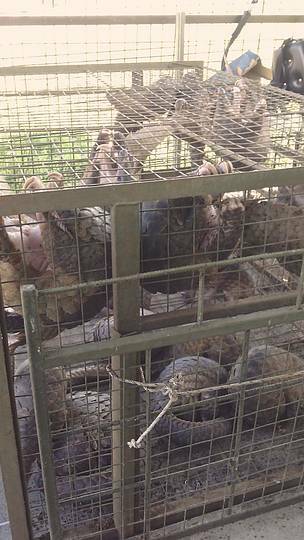 21 February 2016, Sabah: The World Wide Fund for Nature-Malaysia (WWF-Malaysia) would like to congratulate Sabah Wildlife Department, for the arrest of an individual transporting 25 live pangolins and a gunny sack of pangolin scales during a roadblock in Lahad Datu on 20 February. Ironically, 20 February was also the World Pangolin Day. 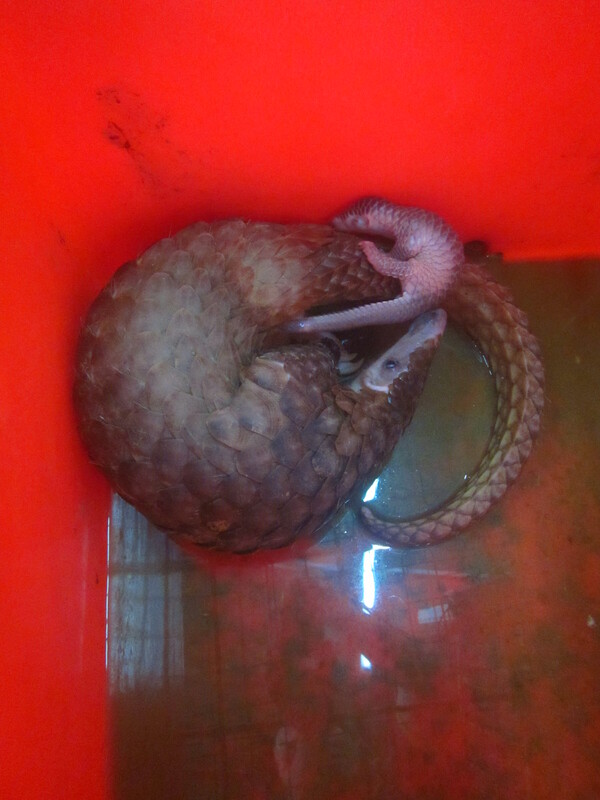 It is sad that pangolins are hunted, trafficked, and murdered due to misguided beliefs in their medicinal properties, none of which have been proven scientifically. According to the Convention on International Trade in Endangered Species of Wild Fauna and Flora (CITES), pangolin skin is used to manufacture boots, shoes and other leather items, while its scales are found in traditional medicines. Then there’s the pangolin foetus soup, which in some Asian countries are wrongly believed to be nature’s answer to Viagra. Last year, WWF-Malaysia commissioned a two-month study on wildlife consumption and trade of wild meat in Tenom, Ulu Pinangah, Nabawan, and Pensiangan. Three hundred and fifty-three households were sampled in 66 villages in these four areas. In just the span of two months, 1918 heads of wildlife were hunted, of which 85% were for own consumption and 15% were traded. Out of the 1918 heads, 61 heads are pangolins and 100% were sold. 1. Establish more district anti-poaching task forces in Sabah, particularly in areas with high rates of poaching. 2. Wildlife crime offenders to be prosecuted according to Sabah’s Wildlife Conservation Enactment 1997 and also Animal Enactment 2015, and slapped with the highest penalty as a deterrent for wildlife crime. 3. Pangolin to be upgraded to Schedule 1 of WCE 1997 so that a complete ban on hunting can be enforced. Many wildlife species such as the pangolin are on the fast track to extinction due to poaching and illegal trade. It is high time we acknowledge that wildlife crime is a deadly business and devote all resources at our disposal to win the war against poaching. 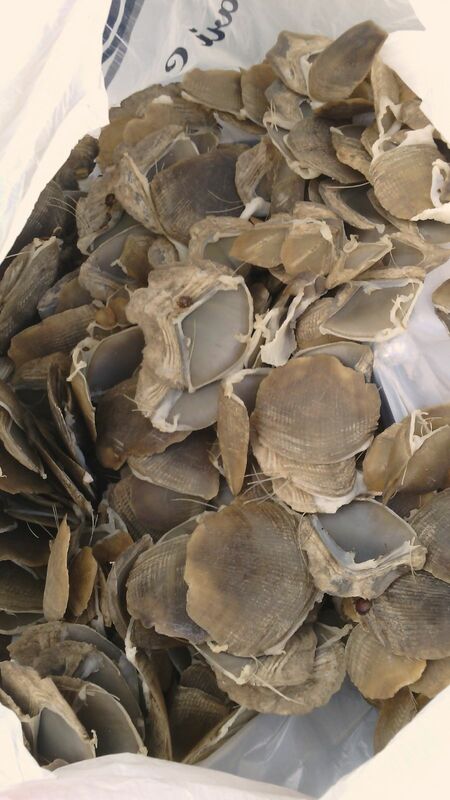 A gunny sack of pangolin scales that was confiscated by Sabah Wildlife Department during a recent roadblock in Lahad Datu. 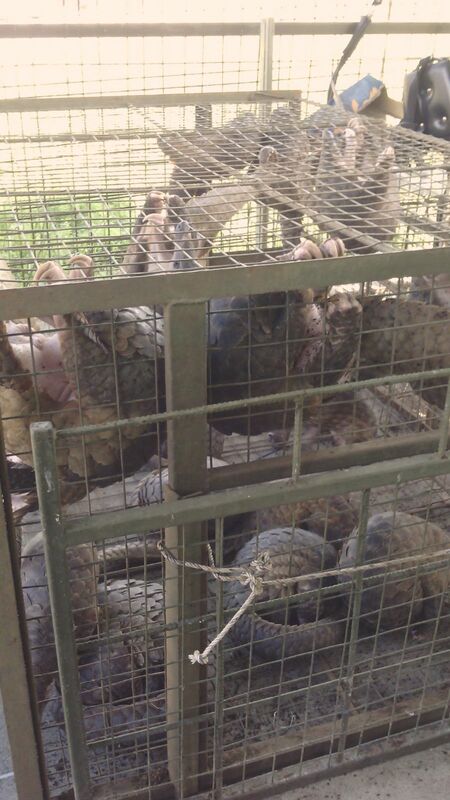 Some of the 25 live pangolins that were confiscated by Sabah Wildlife Department during the roadblock in Lahad Datu.